Hot on the heels of Yahoo's acquisition of MyBlogLog and its web analytics package, we hear that Microsoft is set to launch its own competitor to Google Analytics called Gatineau. According to one of the marketers working in Microsoft's Digital Advertising Solutions group, the new project is based on technology acquired from a company called DeepMetrix, which is based in the city of Gatineau, Canada (hence the name). 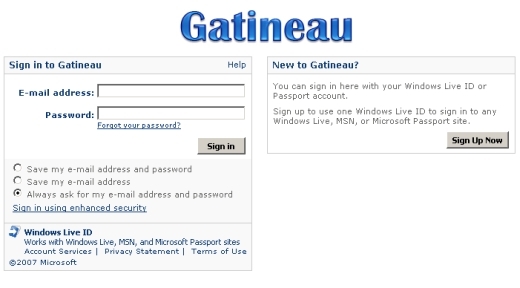 The welcome page for Gatineau is live, but only select alpha users can access it for now. They're hoping to roll it out sometime in 2007. Details about the final product are sketchy, but Microsoft is looking build on Google Analytics not simply replicate it (naturally).